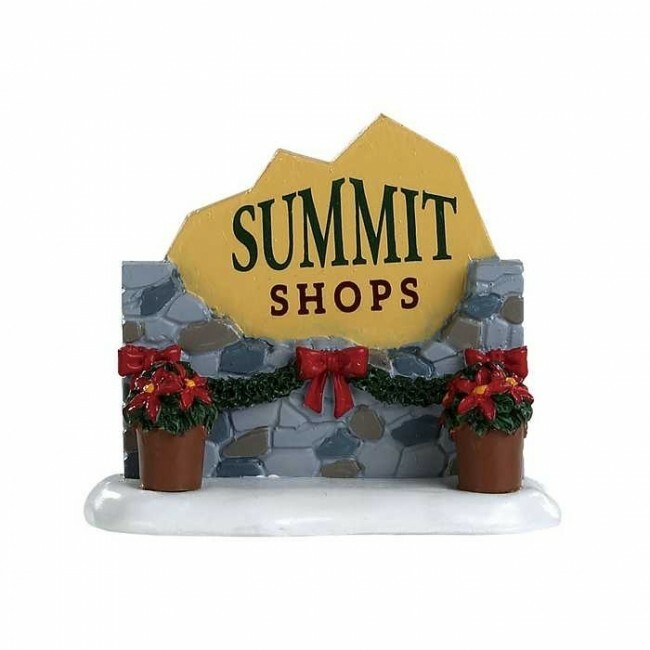 Lemax Village Summit Shops Sign depicts a cheerful and festively decorated Winter ski resort shop sign to compliment your Lemax miniature village display. Scaled and themed for placement in and amongst a Lemax Vail Village themed Winter miniature village scene. The Summit Sign miniature is of polyresin construction and is self standing on a snowed base. This Winter themed sign joined the Lemax Vail Village collection in 2018.